Letter from Plymouth Argyle F.C. to Everton F.C. 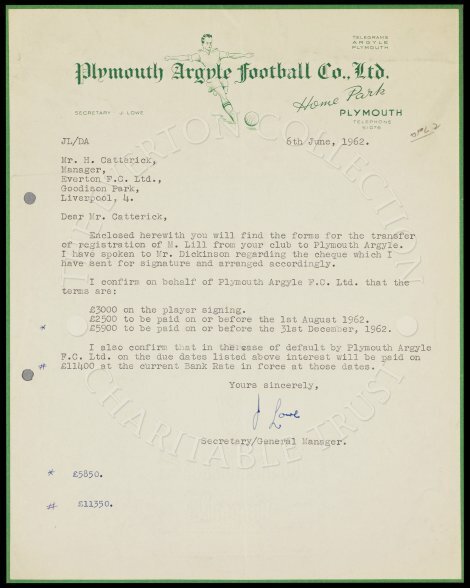 Letter from Mr. Lowe to Harry Catterick regarding the arrangements for the transfer of Mickey Lill to Plymouth Argyle.